Ready for a peek at a few bits and pieces from The Body Shop’s 2017 Christmas collection? The Body Shop has launched its much-anticipated Christmas gift collection and this year the proceeds from its sale go towards the Sisanda Fundation, an NGO that helps to provide play therapy and fun activities to underprivileged kids. 2017’s ‘big 3’ ‘flavour trio’ is Vanilla Chai and Frosted Berries (same as last year) as well as Frosted Plum (R175 each) who you might remember from 2015. Of the three, I like Frosted Plum the most as it’s not too sweet. I don’t really pick up on the plum so, to me, it’s more of a clean-smelling white floral thanks to peony and magnolia notes. Each of the body butter’s (R175 each) contains a different mix of hydrating oils and Frosted Plum’s is chockful of antioxidant Babassu oil (it comes from the nut of a particular palm tree) and has long been used to help soothe irritated skin. How pretty is the Shimmer Mist (R220)? Now I know many of you are miserable that Spiced Apple didn’t make a come back (my Insta story DM blew up!) but take comfort in the fact that you might like Vanilla Pumpkin… if you can find it! I’ve yet to lay eyes on it myself but you’ll find it at a small selection of stores around the country. To date I know the V&A Waterfront and Cavendish has it in Cape Town. If you’ve found it somewhere else please hit me up in the comments section. Something else that’s new to The Body Shop Christmas? 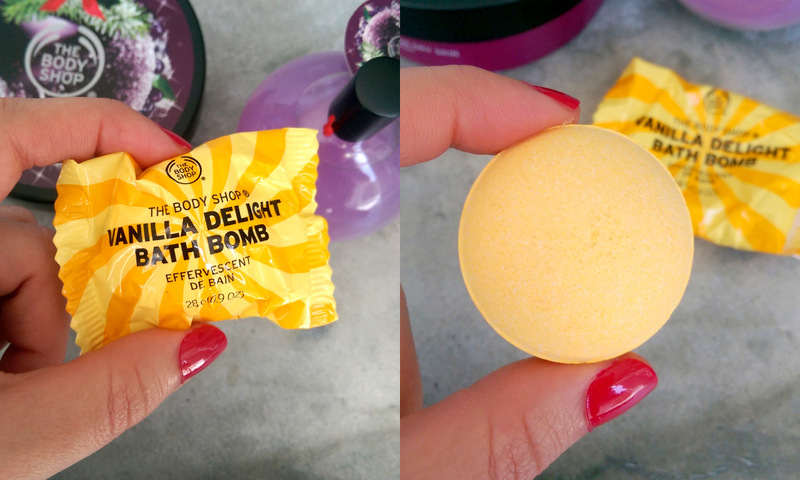 Bath Bombs! Available in an array of variants that all colour your bath water and, at just R30 a pop, they’re an ideal stocking filler provided you’re not in an area affected by the drought. I’ve opened Vanilla Delight to show him off and I love that he smells like creme brulee but will only be using him when it’s appropriate. The Body Shop says they colour your water too! 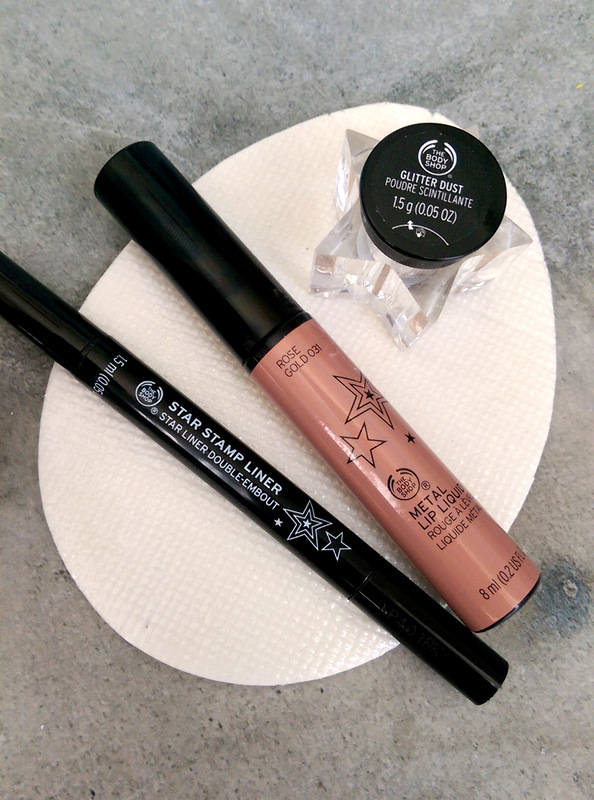 I’ve also been enjoying the Star Stamp Liner (price TBA). 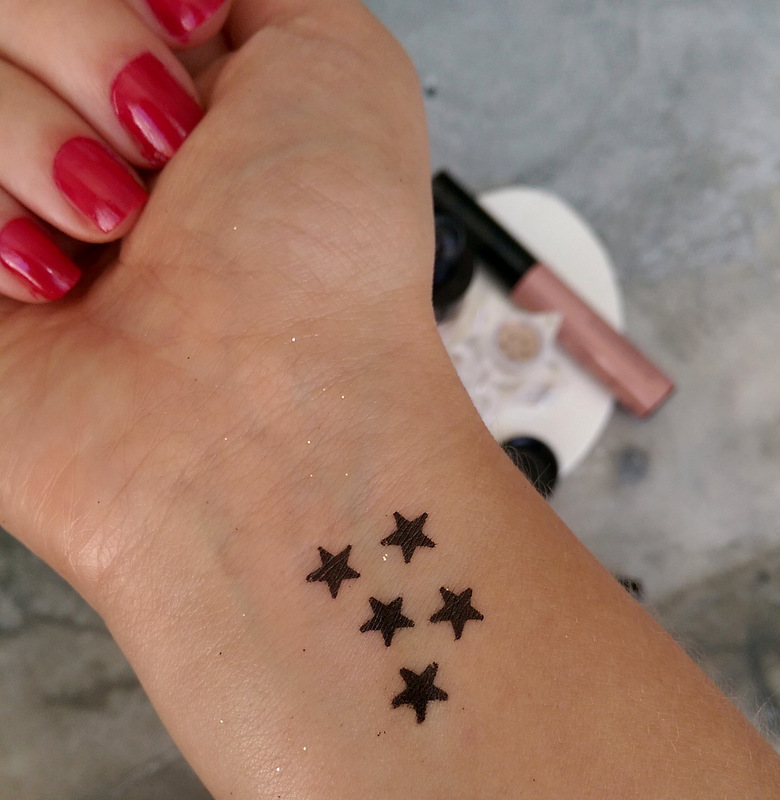 You just stamp it wherever you want a star and that’s that. They’ve got Metal Lip Liquids too but this one was a miss for me as I couldn’t apply it evenly. See? Just forgive the glitter everywhere. That Glitter Dust is exactly that! Look ma, I got a tat! I was lucky to walk off with quite a few TBS treats so keep an eye on the blog for more reviews. I can only squeeze so much into a post but I will dole out a spoiler on the new Chinese Ginseng & Rice polishing powder since so many of you have asked about it via social and that’s yep, it’s fabulous! I hate you. Jealousy is making me nasty. This looks too amazing. Should I rather get that TBS powder instead of the Sorbet one? Help!